This whiskey confidently proclaims on its label to be “Kentucky’s Finest Bourbon”. You need to admire that confidence – YEE YA! This whiskey has a wonderfully soft nose with wood, dense fruit like mango and banana peel and some hints of marzipan and aniseed. Like velvet this whiskey slides down my tongue with an oily texture. It softly delivers a kick of flavor with the lovely sweetness corn competing with bitterness. This whiskey has an excellent finish, that lasts a long while thanks to its oily texture. It fades very slowly, in fact five minutes after taking a sip the taste remains on my tongue. I enjoy this whiskey very much, because it has a soft smooth entry with nice kick and a good diversity of flavours. 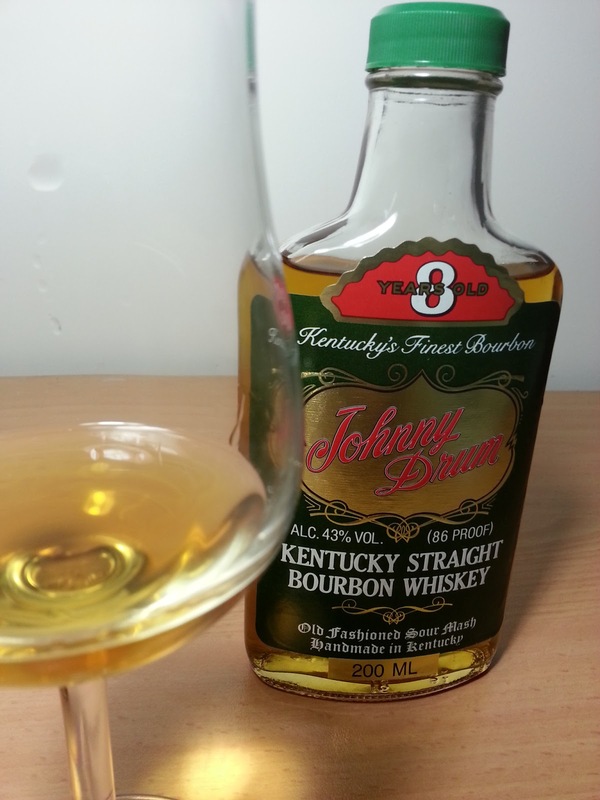 It is an excellent bourbon, though it is very different to other bourbons I have tasted which have been noticeably sweeter. I thoroughly enjoyed the bitter-sweetness of this bourbon. Excellent! This entry was posted in AMERICAN WHISKEY. Bookmark the permalink.